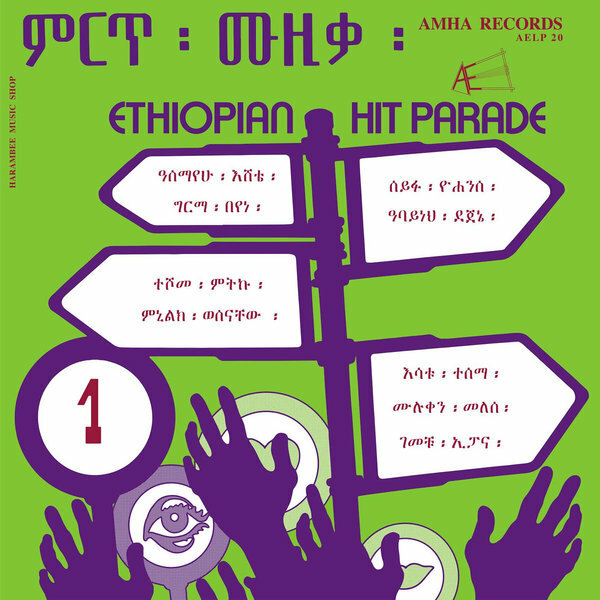 Superb selection from the Ethiopiques and Amha Records archive; reissuing the 1st volume of Ethiopian Hit Parade, which was originally released in 1972 as a compilation of hit 45rpm single taken from Amha Esthèté’s eponymous record label. On Vol.1 of 4 x LPs, we’re offered a riveting survey of the sounds which defied the restrictive rule of Emperor Haile Selassie, whose Ministry of Information initially attempted to stop Amha Records, but eventually turned a blind eye, perhaps in recognition of the fact that Amha Esthèté had the guts to produce new records of domestic music when they were too slack to produce any. As ever with historical recordings, context is key to fully understanding the music, but you simply need a functioning set of ears to appreciate the soul and vibe of these tunes, ranging from performances by “trade-modern” singers representing Amhara and Oromo culture, alongside the pioneering founders of Ethiopian groove, such as Alemayehu Esher with the driving Addis Abeda Bete, Girma Beyene on the debonaire shuffle of Set Alameneme or the funked-up hustle of Teshome Meter’s Gara Ser Naw Betesh, along with a prime version of the Ethio-Anthem, Yekermo Saw.